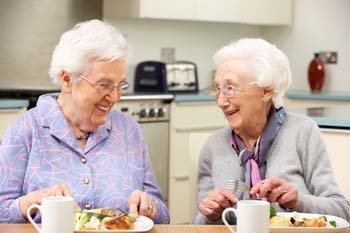 PeachTree Place Assisted Living Community offers a variety of different amenities to assist our residents in living a safer and more comfortable life. What sets us apart from other options is that we have a very home-like environment, a variety of activities and outings, and we encourage a sense of community. We strive to provide an environment for our residents that will ensure that the needs of the community are met and a friendly member of our staff is not too far away.